Coming from both Ghostbot Records and Lauren Records is the first 7″ record from Los Angeles psych-poppers PANGEA. It comes limited to 500 presses with less than half on white vinyl. Pangea can easily catch you off guard after hearing their 7″ here, mainly because each song is just as different as the last. Things start off with the fast and frantic “Plasma (Out of Your Mind)” which has a slightly cutting synth-pop edge. You shouldn’t get too hung up on that though, because the following track “Love & Alcohol” is a total game changer – it features twangy, folksy guitars that make for a pleasurable and easy listen – something they like to call “stoned country” and it definitely fits. Needless to say it’s all great stuff but it’s just hard to figure out how they can go from sound to sound without missing a beat. Track three “River” brings back those fast and energetic vibes from earlier, showing off some shredded guitars and raspy vocals as the lead singer frantically chants with authority in the addictive choruses. This poppy, garage-like jammer just might be the highlight of this hectic and unpredictable 7″, filled out by chilling vocal howls as the song winds down. Last but not least, “Killer Dreams” comes in at the end to supply us with another track that’s nothing like the rest, sounding like a dark and threatening number right off the bat. Sliding guitar riffs sound as creepy as they do sludgy, making up this mutation of a track that features a huge momentum swing within the last minute. Suddenly you will find yourself engulfed by mountainous, percolating psych-rock, dominated by melted guitars and pummeling percussion that will reduce you to a pile of dusty rubble. It’s safe to say we are totally looking forward whatever these guys will offer us in their growing future – no matter which of these forms it takes. Check out these songs below, you won’t be sorry. BUY the 7″ directly from Ghostbot Records – limited to 500 ! 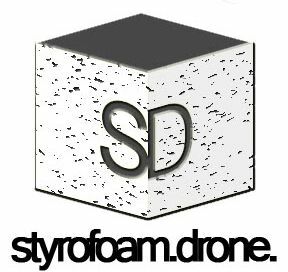 Posted on February 2, 2012 February 2, 2012 by styrofoamdronePosted in 7", Reviews, Still Spinnin'Tagged garage rock, Lo-Fi, pop, psychedelic.